Being on the job hunt for any period of time can quickly make you numb to the particulars of the process. It can be very easy to zone out while you find nursing assistant jobs you’re qualified for and go through the motions of applying. The problem with this is that you might end up wasting your time interviewing for positions that aren’t a good fit for you, or worse, taking a job that you’re not going to like. That’s why it’s important to have a close look at the CNA job description when applying for a position. What’s the point of a job description? Before we dissect a CNA job description, it’s important to understand what it is and why it’s important. A job description is an outline provided by employers explaining the main duties and responsibilities of a job they are providing. Usually, the job description is put together by someone responsible for overseeing the position, done with the assistance of the company’s Human Resources department. The job description serves two purposes. It helps screen candidates by explaining the requirements of the position and encourage qualified people to apply, and it informs people without the necessary qualifications that the job is not for them. Now that we understand exactly what a job description is, and why it’s important, let’s have a look at a fairly standard nurse aide job description you would find while searching for employment. Provides routine and repetitive patient care activities to patients/residents. Maintains standards of nursing care, under the supervision of registered nurses and other personnel in accordance with the philosophy, goals, and objectives of the Example Hospital’s established policies. Performs activities of daily living and patient hygiene. Performs a variety of routine patient care procedures including, collecting and delivering specimens, recording patient height, and weight, taking and documenting vital signs, providing assistance with nourishment and infection control techniques etc. The job information listed above is a fairly standard CNA description at many facilities, so let’s break down the various elements of this description. Oftentimes, these positions are for people who have not received their CNA license. This may mean the job has a lower pay scale than you’d regularly expect for a CNA. Alternately, if you do not yet have your CNA certification, these job titles may mean you’re qualified for the position without your license and can gain experience as you work your way towards becoming a CNA. The Certified Nursing Assistant job description in the example listing above is very much what you should expect to see in a listing for nursing assistant duties from most employers. As a prospective employee, you’ll want to see as detailed of a list of CNA job duties as possible so there aren’t too many unanswered questions about your role when you go for an interview or eventually get the job. Look for unusual responsibilities that you may not be comfortable performing, and familiarize yourself with some of the fairly standard job requirements to take note of those that aren’t listed in the job description. For example, if you don’t see any mention of assisting with activities of daily living (ADL), assisting with personal hygiene like bathing and dressing, and helping ambulate, transfer or move patients, you may want to ask about their absence in the job description. If these duties are not required, that’s fine – not every duty can be listing in a job description, but asking about their absence will help show a potential employer that you pay close attention to small details. Most facilities where a CNA works are not particularly glamorous, and it’s important to know that before entering into this job or any similar position in health care. CNA duties can include dealing with bodily fluids, dressing wounds, and other moments that quite simply aren’t for everyone. Once you’re aware of all of the CNA responsibilities that are expected of the position, you’ll see the qualifications that are expected of the candidate, the first listed in this example are the education requirements. Most jobs will also require a high school diploma or an equivalent such as a GED, so you’ll want to make sure you have that documentation handy if you intend to interview for the job. As mentioned earlier when we covered the importance of the job title, here you’ll find out whether or not the position technically requires you to be a “certified” nursing assistant. When this is a requirement, as it is in the example, you’ll need to be able to show proof of your certification. Other common certifications include CPR training and Basic Life Support. As with the example listing above, many job descriptions will include additional skills and abilities. Here, you’ll find anything from required language skills (i.e. the ability to speak Spanish) to physical requirements (the ability to lift at least 50 pounds). Additional technical skills and requirements may also be listed here such as the ability to use computers or that applicants must be able to legally operate a vehicle. For some CNA positions, no previous experience may be required. In the cases that experience is required, you’ll likely find a minimum amount listed with any preferences on specific types of experience the employer would prefer. If there are specific specialized skills the employer is looking for, be sure to spell those out explicitly on your CNA resume when you apply for the position. Where to find CNA job descriptions? Whether you’re in the middle of your CNA job search or just considering a career as a nursing aide, there are a number of ways you can explore existing job descriptions. First, major job boards such as Indeed, Monster, ZipRecruiter, Snagajob and many others provide a nearly endless supply of open CNA positions around the country. 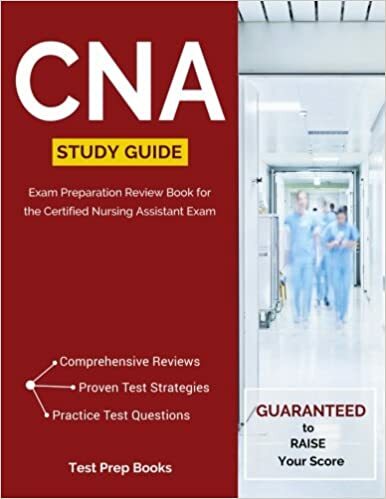 Simply head to one of those sites and do a search for “CNA” and have a look at the positions that are available and their associated descriptions to learn a bit more about what you can expect. For a more local approach, you can do a quick Google search for local nursing homes or hospitals and browse their jobs or careers pages to find open positions in your area. What career paths can I take as a certified nursing assistant? Other CNAs use their experience in care centers to move into administrative career paths such as office management. Regardless of one’s ultimate career path, the roles and responsibilities learned as a CNA can be a very solid starting point.